Successfully Added Android 4.0 Phone Tablet "Greenlight" - 5.2 Inch Screen, Dual Core 1GHz CPU to your Shopping Cart. 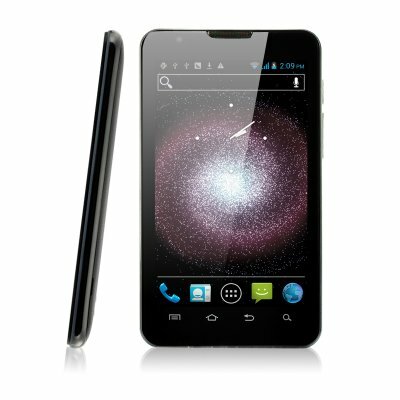 Android 4.0 OS with 1GHz dual core CPU and large 5.2 Inch screen features the large screen of a mobile phone combined with the powerful CPU and functionality of an ultra stylish Android phone! Consolidate the core tasks of both a smartphone and a tablet while creating a portable hybrid which is just the right size. The “Greenlight” sits perfectly in your hand or fits nicely into your pocket and backpack while performing all normal functions of a smartphone. Enjoy internet, gaming, and movies on a large screen, whilst taking pictures and video with its 5MP rear facing camera. Then simply store them on the internal memory or a Micro SD card up to 32GB. All new Android 4.0 OS interface features newly designed icons and widgets which make the Android interface look prettier, easier, and faster to use. The new Android 4.0 OS combined with the latest MTK6575 chipset from MediaTek which offers 1GHz CPU speed makes the “Greenlight” better for gaming, video playing and internet browsing. 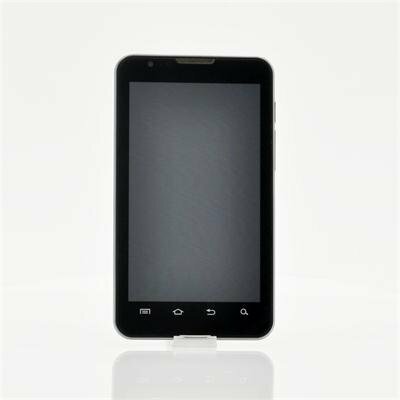 This Android phone tablet is available today to make you some extra bucks in your online store or buy one for your self at an unbeatable low factory direct price! Order now and we'll ship it out from our warehouse tomorrow. From your reliable source for latest Android phones and devices, Chinavasion.